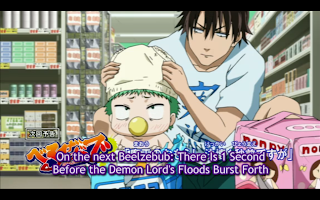 Anime Reviews: Beelzebub Episode 03 – Are There Any Strong, Ruthless Bastards Around? 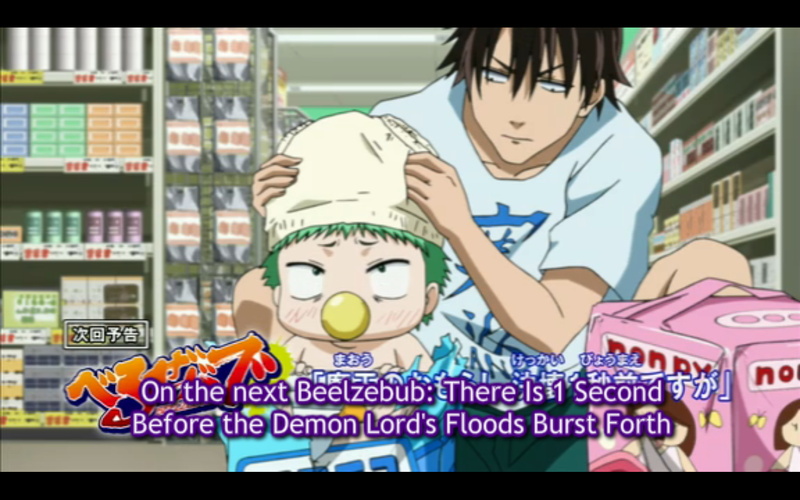 Oga has a dream about Beel growing up into a full grown demon lord, while still riding on his back. He goes everywhere trying to get food for him, but no one will let him into their restaurant. 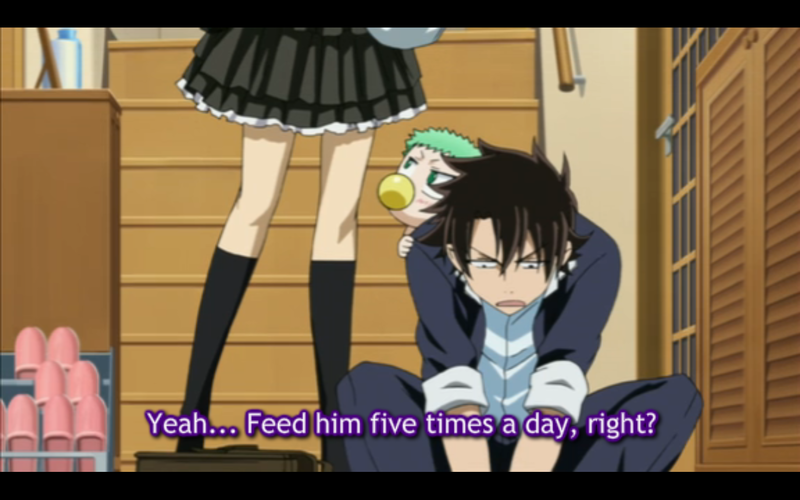 While Oga is getting ready for school Hilda gives him food to take for Beel. She gives him specific instructions on when to feed him, and how much. On the way to school Oga stops to feed a hungry Beel, and then leaves the milk behind. 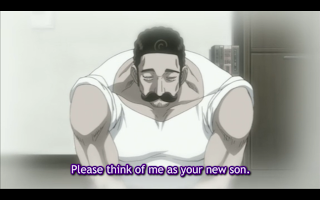 Introduced himself to Furuichi’s family. I’ll give you a hint, he does it the exact same way that Hilda does. I thought Hilda’s was hilarious, but this was just priceless. Oga goes looking for food for Beel, and gets some yogurt from the vending machines. 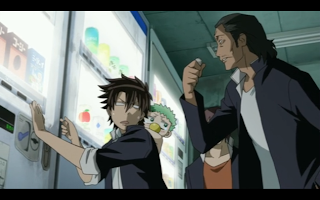 Three delinquents tell him that yogurt belongs to Kanzaki, one of the third year leaders, and strongest fighters of the school. Oga decides that he needs to visit this guy and see if he can dump Beel on him. While there he witnesses Kanzaki tell one of his subordinates to jump out the window. 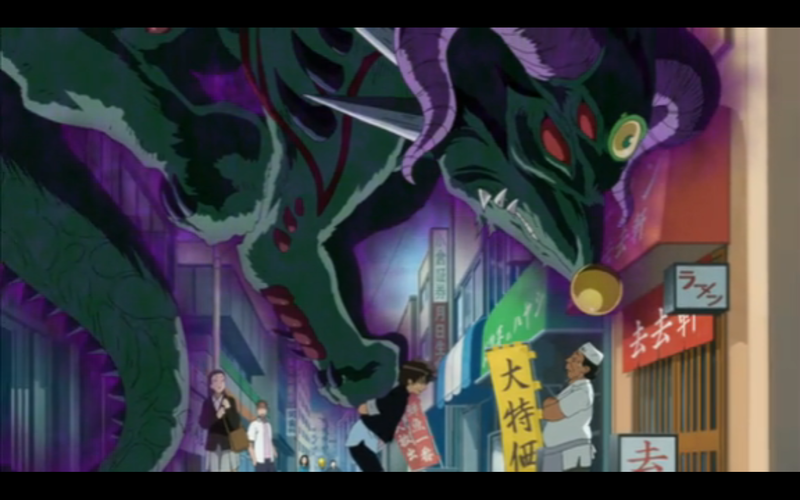 Even though that’s a sign of being pretty evil Oga for some reason decides what he really wants to do is send this guy flying. And he does. 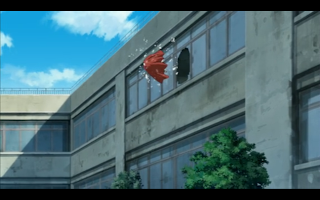 Right through the window. 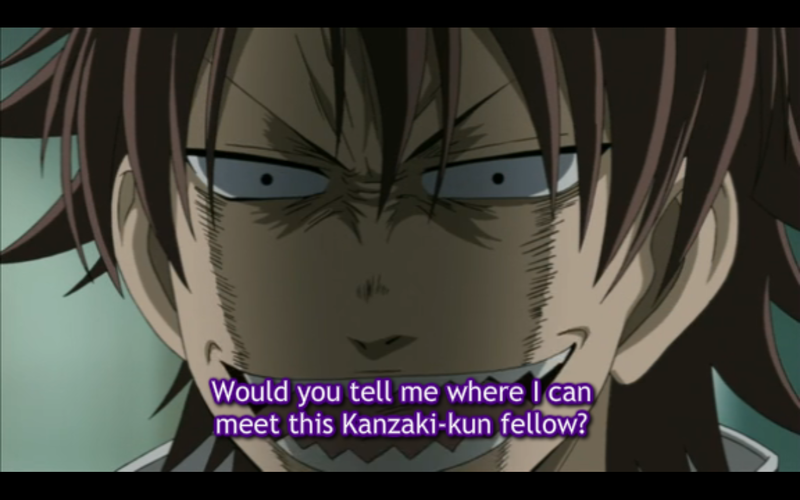 This episode introduces a part of Oga that suggests he is more than what he appears. Even though he wants to get rid of Beel there was something about Kanzaki that he didn’t like. I have my theory, supported by what happens in the manga, but I think it’s because even though he is pretty dense, and acts almost completely amoral, he still places a lot of value in his friends. Seeing someone mistreat a friend just doesn’t sit right with him. 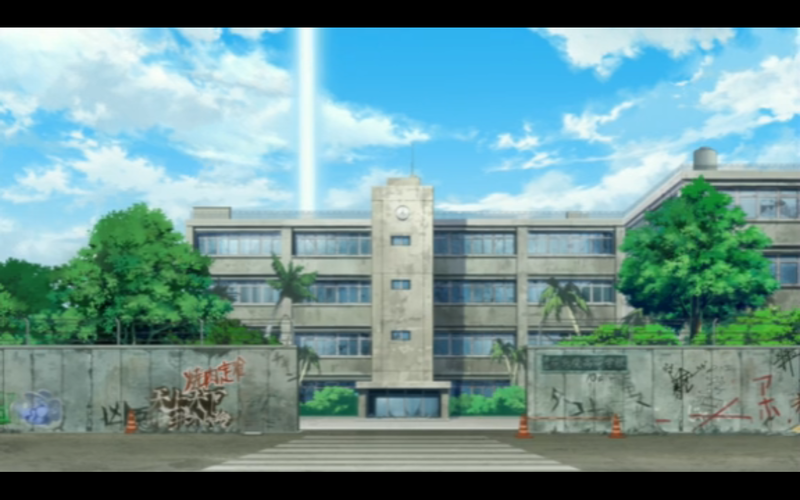 This was definitely one of the better of the three episodes, as it gives a little tidbit about Oga, while at the same time advancing the story by having him meet, and defeat, the first of the four powers he will have to fight. 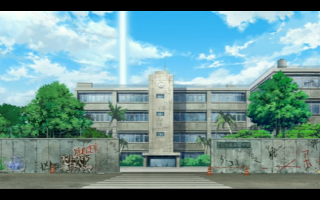 Well, as part of general housekeeping I think I should mention that my weekly anime reviews are going to get much shorter. I can’t really keep up the motivation to write long ones when I have to write three a week, so in the interest of getting everything done I’m going to be keeping these short. Once I get into the swing of things I’ll hopefully be able to start being funny about it more. But as it is I’m way too flustered by how much work I’ve given myself. So I’ll be much more brief in my reviews. 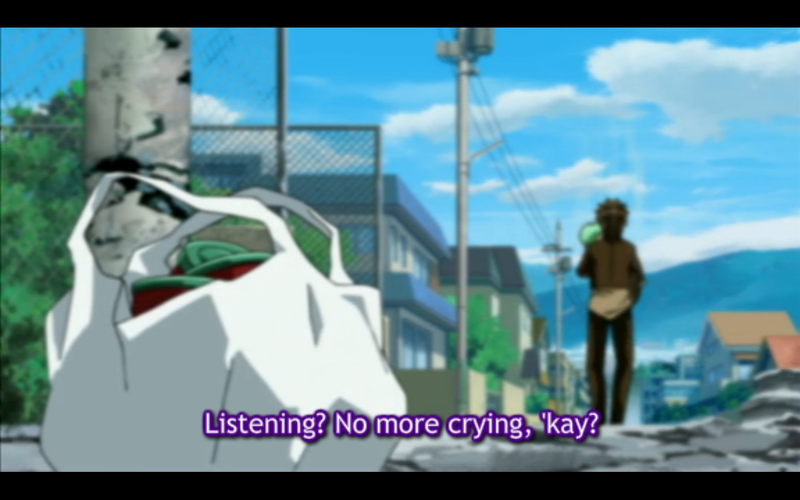 I don’t really need to write a review long enough for the entire series for just one episode.